Public sector IT and private sector IT can be very different animals, but a looming decision by the Department of Defense has the potential to send shock waves through both sides of the IT world. The Department of Defense is preparing to accept bids for a potential 10-year, $10 billion Joint Enterprise Defense Infrastructure (JEDI) contract for cloud services as it modernizes and unifies its IT infrastructure. The JEDI cloud deal’s winner-take-all parameters could result in one of the largest windfalls in the history of the market, but also reinforce perceptions in the private sector — that AWS’ decade-plus stronghold on the market is even more dominant, or that a challenger will assert itself as a viable alternative. The JEDI cloud deal would have less impact on AWS today, as the company brought in more than $5 billion in revenues in its latest quarter alone. Still, the $10 billion contract would dwarf the 2013 CIA deal, and similarly echo across the entire cloud market. Cloud computing is a very capital-intensive, potentially very profitable business — a decade-long cash infusion on that scale would nicely buffer against the torrid growth required for a provider to compete in the hyperscale market. The JEDI contract would be an even bigger boon to IBM or Oracle, which have histories with the public sector but struggle to keep pace in the public cloud market. IBM has publicly tossed its hat into the RFP ring for this contact, and much of the public attention on this deal sprang from a private dinner between President Donald Trump and Oracle CEO Safra Katz in which she reportedly told the president the contract heavily favored AWS. And what about Google Cloud Platform? 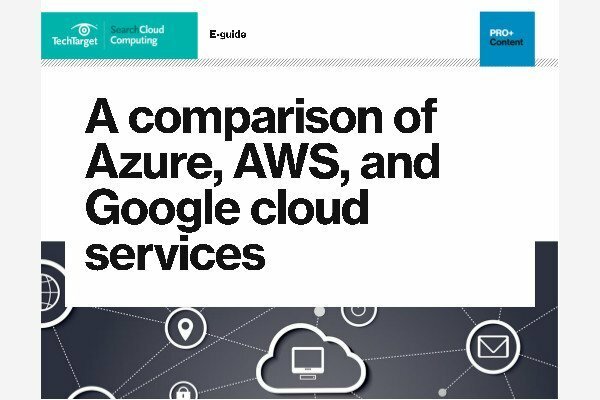 It’s often lumped in with AWS and Azure for its technical prowess but it hasn’t resonated as much with the enterprise market, and a deal of this size would turn heads. But Google recently pulled out of another Defense contract amid employee concerns about the use of its AI capabilities, and it hasn’t said publicly whether it will seek this JEDI cloud contract. An updated solicitation for input from the Defense Department was supposed to be published by the end of May. The delay is likely due to the volume of responses the government received, Parry added. The DoD has since declined to give a timeline on when the latest request would become available. Forrester’s Bartels recommends that the government split the JEDI cloud contract among multiple vendors to preserve flexibility and keep providers on their toes. But regardless of who wins, the deal will inevitably serve as another marker in the growth of this market.